Based on our extensive Lab tests and measurements on the display for the Surface Pro 3, Microsoft has produced an excellent professional grade high performance display for Windows. In fact, the Surface Pro 3 has one of the very best and most accurate displays available on any mobile platform and OS. 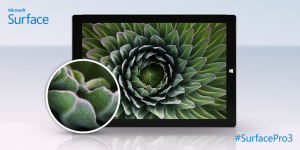 It joins near the top of a small set of Tablets that have excellent Top Tier displays – ideal for professionals that need a very accurate high performance display for their work, and for consumers that want and appreciate a really nice and beautiful display. The Surface Pro 3 delivers uniformly consistent all around Top Tier display performance: it is only the second display to ever to get all Green (Very Good to Excellent) Ratings in all test and measurement categories (except for Brightness variation with Viewing Angle, which is the case for all LCDs) since we started the Display Technology Shoot-Out article Series in 2006, an impressive achievement for a display. See the Shoot-Out Comparison Table for the detailed test and measurement results. Comparisons with the other leading Tablets are examined below. I’m having some issues with mine, specifically a yellow hazy line running along the left-hand side of the screen and a yellowish tint that’s developed on the display’s left half, but I’ve handled enough Surface Pro 3’s to know that my issues are isolated. And even with them, I’ve found my Surface Pro 3’s screen to be superior to most devices I’ve owned and to help justify the machine’s ultrabook-level pricing. 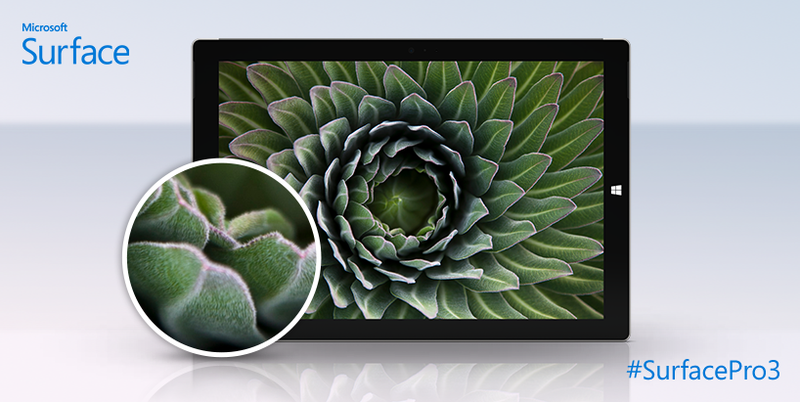 If screen quality is important to you, then the Surface Pro 3 is an excellent choice.